The future scenario of “Citizen Centric Hyper E-government” has been chosen for me to work on, which was generated by JRC EU POLICY LAB from a series of citizens` workshops and a professions` workshop. This scenario described a preferable future considering both relationships among social actors and the needs on government in 2030+, which shows in the paragraph blow. In 2030+, the world is shaped by the interaction among three main actors: the government, the citizens and the technology. The advancements in technologies, digitalization and AI enabled the government to analyze the overall situation in real-time. Meanwhile, the information is decentralized and the transparency of data permit full scrutiny of government decision makers. The super Artificial Intelligence (sAI) brought opportunities for direct democracy that works efficiently with nearly zero marginal cost. Citizen voices are heard and included in policy making through co-design activities between civil society and government. sAI has the role to analyze all the data to provide insights, which will be subsequently discussed among government and citizens so that biases or misperceptions of the algorithm can be avoided. The entire public service is designed to serve citizen needs and improve the societal wellbeing. Privacy is a central value, hence data sharing is strongly regulated and each citizen is the owner of his/her data. People who are more willing to share get benefits in return. My forecasting started with extensive desk research about how the governments will adopt new technologies (like Artificial Intelligence, Open Data, Smart City and Serious Gamification) in their governance and how the future model of open democracy would be. By analyzing the material from desk research, four weak signals have been generated and explained below. Brexit, Donald Trump, the rise of populism and spread of division made people realized that democratic politics has turned to be more unpredictable and has led to the upsetting results (Runciman, 2018). This might result from the citizens` being misled and deceived by the wicked politicians, who don`t care about the citizens needs but only want to make people vote for them and help them achieve their own goal. Another reason might be that the citizens, who are lack of knowledge and not suitable for the decision making, had the right to influenced the decision making process. In order to overcome these drawbacks of the current democracy, an AI called Nigel has being developed by a US digital company named Kimera Systems. It aimed to guide voters to vote for political parties and policy positions in a way which suits their own preferences. It might work somehow for preventing citizens being misled by politicians or media. However, it was criticized as it would “close the circle in our minds” due to the feedback loops of machine learning, which only studied our past behaviors rather than teaching us about other ways of thinking (Runciman, 2018). Another new attempt of democracy could be that Greece appointed a cabinet of experts as the government for a short time to stabilize the economic collapse before new elections in November 2011 (Smith, 2011). Nevertheless, this way of changing politicians with experts did not work well, as these experts are not familiar with building a complex system towards a preferable future. Considering this, we should think about how the government might help citizens acquire knowledge about decision making to prevent them from being misled and to help the government go towards a preferable future through an improved way of democracy. Artificial intelligence (AI) has been applied in several fields, among which the government has started to raise great concern. Machine learning and various data analytic tools (including model clustering, principal components analysis and etc.) could be two types of AI which is related to governments, which I will mainly talk about in this blogpost (Geoff Mulgan, 2018). By adopting AI in governance, it will enable governments to make better informed decisions and to predict and prevent problems (Geoff Mulgan, 2018). One example of adopting AI in the government could be Zencity, an AI company based in Israel. It has been developing a solution that monitors citizens` public information widely from social networks, municipal call centers and etc. to collect and analyze their feedback on the government services using machine learning (Idan Rabi, 2017). The aim of this is to assist municipalities in better understanding their residents` needs and making effective long-term decisions accordingly (Idan Rabi, 2017). This could be seen as a good attempt enabled by AI for helping the decision-makers to change to the citizens` perspectives. However, it might make citizens feel uncomfortable for passively participating and being under surveillance by the government all the time. Another example could be the first AI tool for assisting police in custodial decision making, called Harm Assessment Risk Tool (HART), trained by criminologists in University of Cambridge in mid-2016 (Lawrence Sherman, 2018). By analyzing the results of five-year criminal histories, HART is able to give prediction of the possibility that the prisoner is going to cause major harm after release (Lawrence Sherman, 2018). Although the accuracy of HART still needs to improve and its output can only give guidance for the police, it contributes greatly to forecasting prisoner`s risk level and thus make police service more efficient. This also reflects the opinion called Collective Intelligence hold by Geoff Mulgan from Nesta, which advocates that human and machine capabilities should work together for better achieving outcomes and pursuing a brighter future (Geoff Mulgan, 2018). Towards this weak signal, we could think about how the government can use AI properly to make better informed decision towards a preferable future, combined with collective intelligence, while avoiding offending citizens about the privacy issues by positively engaging them. Weak signal #3 — Open Data adoption in governance was continuously raising worldwide, but citizens` distrust in quantitative data should be considered. Open Data refers to “data that is freely available online for anyone to use and re-publish for any purpose” (Joel Gurin, 2015). It has been shown in several studies, consisting of the ones done by the World Bank, that the number of Open Data applications was continuously raising worldwide (Morrison, 2014). Besides the economic growth Open Data has brought, it provides opportunities for benefiting the governance. This includes the increase of government transparency, accountability and citizen participation as well as enabling the government to improve its inter-departmental collaboration (Joel Gurin, 2015). OpenGov could be an example, which is an online platform displaying data from governments` accounting system. it engaged internal and external stakeholders in the government`s operation based on the data shown in an understandable way in OpenGov platform; enabled the citizens to see data from the government and express their opinions as well as made it possible and easy for the government to get timely feedback of its operations through both data and citizens` comments (OpenGov, 2018). 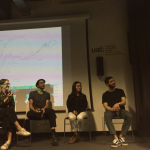 However, for taking full advantage of Open Data, one trend should be taken into account, which is citizens` distrust in quantitative data in western liberal democracies. It is reported that 68% of Trump supporters doubt the economic data given by the federal government and 55% of UK population believes that the government lie to them about the number of immigrants living in the country (William Davies, 2017). This might because of that the citizens feel the authority of statistics is declining. In order to tackle with this issue, it was suggested to use more qualitative evidence for building trust, which consider citizens` emotional investments in their community and nation (William Davies, 2017). From this weak signal, we could think about how the government can take full advantage of Open Data (both quantitative and qualitative) to build trust with citizens. As is estimated that “60% of the world population will live in an urban center” by 2025, cities have to use the existing resources more efficiently and thus become a smart city. This could be achieved with the help of information technologies for connecting disparate networked infrastructures, including roads, phone lines, cable networks, satellites and the internet (Zac Bookman, 2015). Many countries have been working on Smart City by embedding more smart objects which can receive, collect and transmit data into cities and using this data to deliver effective solutions towards a more livable future(DEGLI-ESPOSTI and SIRAJ AHMED SHAIKH, 2018). One example could be Singapore smart nation program launched in 2014, which tended to add more cameras and sensors. It made Singapore government effectively monitor the overall performance of the city, including the crowd density, cleanliness of public spaces and etc. (CNBC International, 2017). Moreover, based on the abundant real-time data collected, an online platform named Virtual Singapore has been built, which is a 3D digital model of Singapore with intricate detail (DIGITALGOV, 2017). 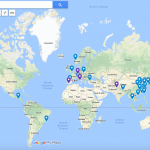 Using the platform, scientists and urban planners are able to collaborate with stakeholders better, do experiments and run simulations easily with low cost. Meanwhile, citizens can explore the city in-depth and understand more about the impact of decision making. However, as human behavior is hard to predict and collected, this Virtual Singapore system could be improved further for a wider application and impact. There are several city-building games emerging in the market, such as Simcity, Cities: Skylines, Urban Empire, Cities in Motion and etc. 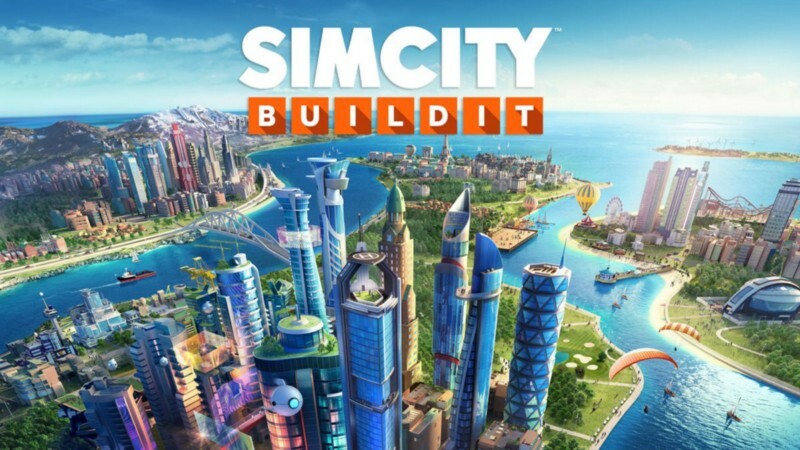 In these city-building game, the players can build and maintain a virtual city in the way they like, following the storyline of the game (Klappenbach, 2018). Taking Simcity, originated in 1989, as an example, it caused a global sensation as players enjoy trying different decisions endlessly to find the best way to build a city that attracts citizens and development the most. 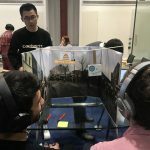 During the game, the players could gain empathy with the citizens through making decisions to balance public service, to tackle with environmental and budgetary pressures while getting constant feedback to the decisions (Yoo, 2016). It should be taken into account that smart cities have been generating abundant data, which could be used in simulating the real world in the 3D Model. Moreover, city-building games have brought the citizen engagement through a fun way. Based on these two trends, more “serious games” (Serious game is a simulation that has added elements of game for a primary purpose, such as a story, tasks/goals, feedback and play) were being developed for the government/experts to make better decisions. Tygron could be an example, which could be seen as adopting real world data and regulation into “Simcity”. 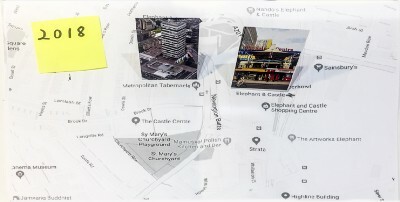 The platform has been used to guide real projects like the plan of lower Manhattan, NewYork (Yoo, 2016). Considering this weak signal, we could think about how the government can adopt serious gamification and use data collected by Smart City to engage with citizens and let them actively participate in decision making process, at which time the citizens will gain empathy with the government and other citizens. Policymakers need to understand how to make the best decisions while balancing different stakeholders` interests. Citizens and business need to have the opportunity to point out their perspectives and at the same time empathize with the ones of the others. Citizens need to directly enact the policy making process. With the support of the given scenario and desk research, the next stage of the project will focus on proposing a new model of democracy and building prototypes to explain the concept, in order to trigger an open discussion. One of the Camden challenges — unemployment will be used as a case for better explaining the concept. For gaining insights, one provocation was created, followed by two “sub-provocation” for explaining it in detail. What if the government uses an ‘Immersive Serious Gamification (ISG)’ to involve citizens in decision making in 2030+? What if every citizen could have the opportunity to immerse themselves into a Virtual Reality to simulate policy making so influencing the government future assets? What if, doing so, we could understand previously and more accurately which actions could bring the world to the desired future scenario? By this provocation, I aim to involve the citizens in the decision making process and let them understand its complexity. They will understand more the issues that the government or citizens has, propose possible solutions as well as get timely feedbacks of the decisions they made. The combination among Artificial Intelligence (AI)1, Virtual Reality (VR)2 and a detailed Immersive Interactive Experience (IIE)3 and Serious Gaming (SG)4 could help government to develop and check with citizens the best policy making possible to go towards their preferable future scenario. 1) AI: The term “artificial intelligence” is applied when a machine mimics “cognitive” functions that humans associate with other human minds, such as “learning” and “problem solving” (Russell, 2009). 2) VR: An entirely unreal 3d environment that you can “enter”. 3) IE: The feeling of being totally immersed in the virtual environment and thus disconnected from “real” reality, but with the capability to touch and affect the same virtual environment through actions. 4) SG: Serious game is a simulation that has added elements of game for a primary purpose, such as a story, tasks/goals, feedback and play. In the first prototype, we tried to explain our concept using crime and safety case. 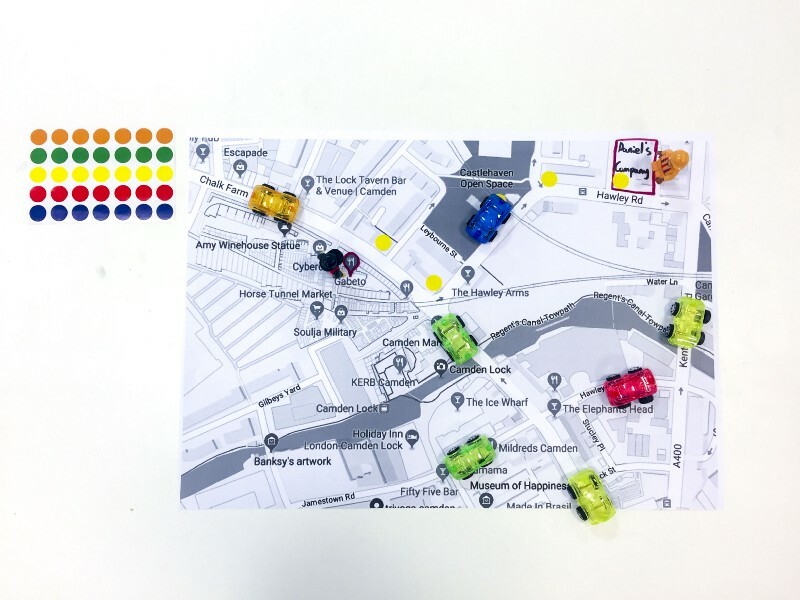 A printed Camden map and cars on the street were presented to indicate that our Immersive Serious Gamification (ISG) was a simulation of the real world using real-time data. We gave a simple example to demonstrate how the citizen can interact with the system. AI analyzed the current Camden database and predicted that there would be more crime, towards which it recommended to place more CCTVs around the city. Citizens can enter in this ISG scenario, behaving in the same way as they did in the real life. Then they will give negative or positive feedback using red or green stickers and leave comments to add/cancel some CCTVs suggested by AI. In the second prototype, we changed the case to the unemployment one, in order to show the complexity of decision making. 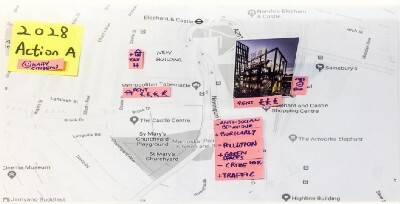 The case is that Elephant & Castle Shopping Center is facing re-development as a college nearby need space to develop, however the Latin American residents will suffer from unemployment if the shopping center is taken down. Three maps were presented to indicate the real world now and two ISG scenarios (Action A & Action B) in 2028. 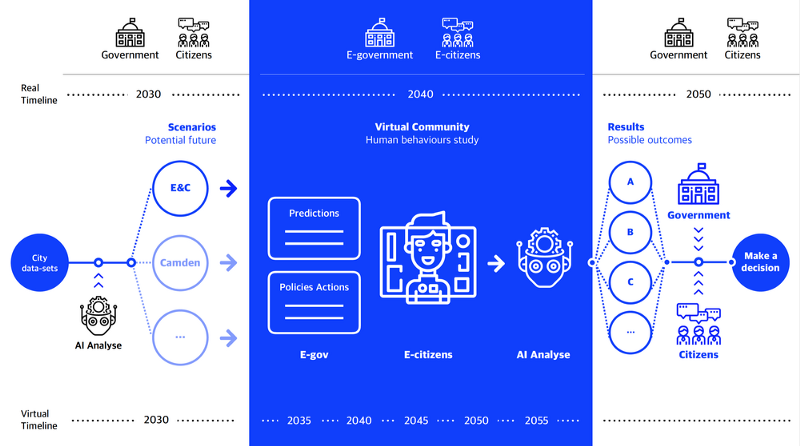 Citizens, Government, AI proposed solutions and citizens can select the best two solutions, according to which two ISG scenarios will be built to let citizens participate in and test the two solutions. Action A is to replace the shopping center with a new college campus and Action B is to build the campus while keeping the shopping center. As time is accelerated in ISG, the impact of each action will be shown in each scenario using data after only one day, which will give more evidence for the government to make a better informed decision. Citizens will not only give feedback about one solution to the government, but also can understand clearly the impact of one decision on their life. 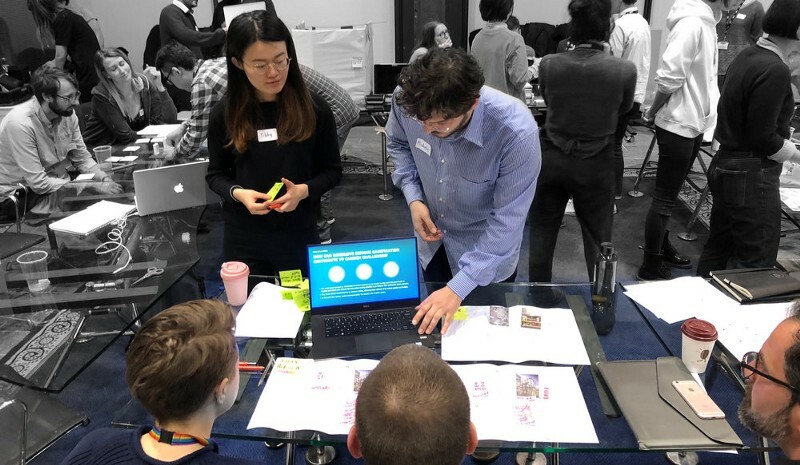 The team understood that the “Immersive Serious Gamification” proposition has generally been identified as a concept with strong potential for decision making and capable of making people empathise with the other stakeholders. The main weakness is the opaque clarity over the final trade-off process for decision making and a possibly altered behaviour of the gamers. The team has a clearer understanding of the necessity to develop further thinking over the incentives and objectives of the gamers, as well as, over the process of final trade-offs. Finally some time need to be spent thinking the requirements for the platform to work and to develop a clearer prototype to illustrate how the platform works. We developed our idea further according to the feedback got from the workshop and will make a stop-motion animation for better explaining our new democracy model. In this model, AI will first collect real time data and build ISG accordingly to simulate the real world. Citizens can enter in the ISG, where they can choose the challenges generated by AI, and play the role as a policy maker who will first make agenda for tackling these challenges. They will then make decisions, see the impact and revise decisions towards a more preferable future. An overall score for their governance will be shown with detailed matrix for social, environmental, economic, political performance and etc. All people can play this game and empathise with the government and other citizens (through changing perspectives to different personas during the game). Each player`s decisions and their impact will be collected, analysed and learnt by AI and then several proposals for best solving the real world challenges will be generated. Based on the proposals and the supporting data, citizens and the government will have an open discussion to make a decision, which will take action. 5 trends of the future governance have been generated, based on the scenario given by EU Policy Lab, the desk research for finding out weak signals as well as the design experiments conducted for triggering open discussion and gaining insights about our new model of open democracy widely. The government need empower the citizens in a proper way by helping citizens gain more knowledge about decision making. The government need adopt AI as a tool for analyzing data, learning patterns and making predictions, rather than letting AI make decisions. Decisions are better to be made through open discussion among citizens, experts and governments with the supporting material generated by AI. The government need be very careful about forcing the citizens passively participating in the governance by giving away their private data. However, attractive, fun ways of motivating the citizens actively participating in governance could be a good choice, which also empowers them by enabling them to influence on the decision making. The government need use more qualitative data to avoid the citizens` distrusting the quantitative data released by the government, which could be achieved by adopting empathy tools. The government need use Immersive Serious Gamification, which have much potential for educating citizens, attracting citizen participation, enabling collaboration among different social sectors, experimenting with low cost and etc. CNBC International (2017) What is a smart city ? Available at: https://www.youtube.com/watch?v=bANfnYDTzxE (Accessed: 16 May 2018). DEGLI-ESPOSTI, S. and SIRAJ AHMED SHAIKH (2018) With smart cities, your every step will be recorded, The Independent. Available at: http://www.independent.co.uk/life-style/gadgets-and-tech/news/smart-cities-big-data-technology-mobile-phones-internet-computers-macs-laptops-a8308566.html (Accessed: 16 May 2018). DIGITALGOV (2017) 5 things to know about Virtual Singapore, GOVTECH SINGAPORE. Available at: http://www.tech.gov.sg/TechNews/DigitalGov/2017/03/5-things-to-know-about-Virtual-Singapore (Accessed: 16 May 2018). 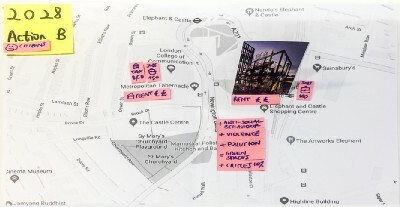 Geoff Mulgan (2018) A roadmap for AI: 10 ways governments will change (and what they risk getting wrong) | Nesta, nesta. Available at: http://www.nesta.org.uk/blog/roadmap-ai-10-ways-governments-will-change-and-what-they-risk-getting-wrong (Accessed: 15 May 2018). Idan Rabi (2017) ZenCity raises $1.7m to help cities assist residents, Globes. Available at: http://www.globes.co.il/en/article-zencity-raises-17m-to-help-municipalities-assist-residents-1001204302 (Accessed: 15 May 2018). Joel Gurin (2015) How Open Data can drive sustainable development, World Economic Forum. Available at: https://www.weforum.org/agenda/2015/08/how-open-data-can-drive-sustainable-development/ (Accessed: 15 May 2018). Klappenbach, M. (2018) Which City-Building Games Are Fun for the PC?, Lifewire. Available at: https://www.lifewire.com/best-city-building-games-for-the-pc-4082362 (Accessed: 16 May 2018). Lawrence Sherman (2018) Helping police make custody decisions using artificial intelligence, University of Cambridge. Available at: http://www.cam.ac.uk/research/features/helping-police-make-custody-decisions-using-artificial-intelligence (Accessed: 15 May 2018). Morrison, A. (2014) New surveys reveal dynamism, challenges of open data-driven businesses in developing countries, The Data Blog. Available at: http://blogs.worldbank.org/opendata/new-surveys-reveal-dynamism-challenges-open-data-driven-businesses-developing-countries (Accessed: 16 May 2018). 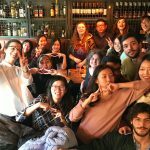 OpenGov (2018) Powering More Effective and Accountable Government | OpenGov. Available at: https://opengov.com/ (Accessed: 16 May 2018). Runciman, D. (2018) ‘Why replacing politicians with experts is a reckless idea’, The Guardian, 1 May. Available at: http://www.theguardian.com/news/2018/may/01/why-replacing-politicians-with-experts-is-a-reckless-idea (Accessed: 15 May 2018). Russell, S. (2009) ‘Artificial intelligence: A modern approach author: Stuart russell, peter norvig, publisher: Prentice hall pa’. Smith, H. (2011) ‘Lucas Papademos sworn in as Greece’s prime minister’, The Guardian, 11 November. Available at: http://www.theguardian.com/world/2011/nov/11/lucas-papademos-greece-prime-minister (Accessed: 15 May 2018). William Davies (2017) How statistics lost their power — and why we should fear what comes next, The Guardian. Available at: https://www.theguardian.com/politics/2017/jan/19/crisis-of-statistics-big-data-democracy (Accessed: 15 May 2018). Yoo, T. (2016) ‘SimCity legacy: smarter cities when urban planners play for keeps’, The Guardian, 13 July. Available at: http://www.theguardian.com/sustainable-business/2016/jul/13/simcity-legacy-smarter-cities-when-urban-planners-play-for-keeps (Accessed: 16 May 2018). Zac Bookman (2015) 5 tech trends that will transform governments, World Economic Forum. Available at: https://www.weforum.org/agenda/2015/09/5-tech-trends-transforming-government/ (Accessed: 15 May 2018). ← WHAT IF there was a platform that allowed every citizen to govern Camden together?